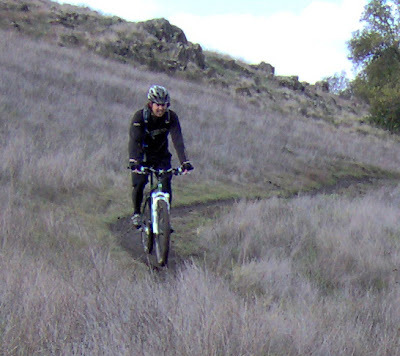 Today Rob and I headed out for a quick loop on Rocky Ridge, a local trail with a nice mixture of climbing and descending. Since the ride is short with a rocky descent, I thought it would be a good (albeit brief) testing ground for the new 650B prototype. 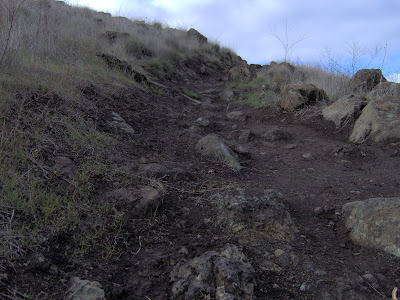 Weather was cool with overcast skies; the trails were tacky with some muddy sections. Once downhill sections started, most of the mud flew off and traction was more predictable. 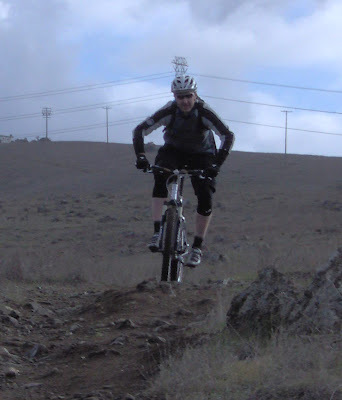 The larger diameter wheels rolled over rocky sections with ease and I felt immediately confident on the bike. 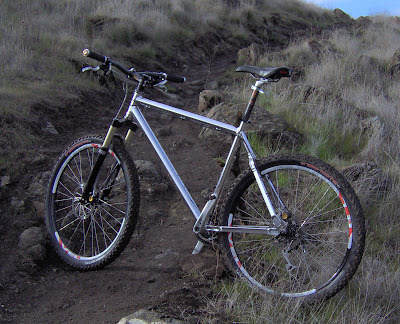 Since I've ridden many incarnations of my aluminum frames, this baby felt stable and well-balanced the minute I hopped on the WTB Laser V saddle. Rob seemed to have fun too until a little slip on the descent caused him to spill. After dusting off, we were back on our way through some serious mud sections. 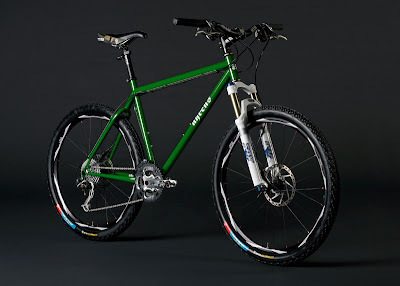 Rob's steel frame (finished in 'Larry Bird' green and pictured below) shed the cake-like mud very well and his post-ride cleanup won't be nearly as involved as mine! 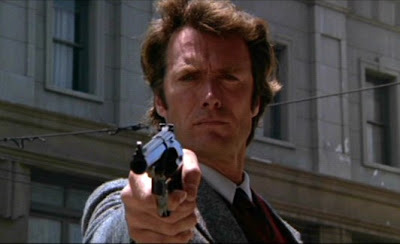 Why is this bike nicknamed Dirty Harry? Because this 650's first ride was a dirty one that started at 650 Harry Road! 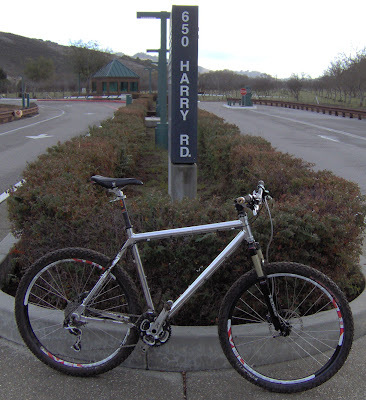 I'm looking forward to taking this bike over to UC Santa Cruz and Wilder Ranch for a more extended ride as soon as I can...stay tuned for more updates.